3 Bedroom Semi Detached House For Sale in Liverpool for Asking Price £115,000. 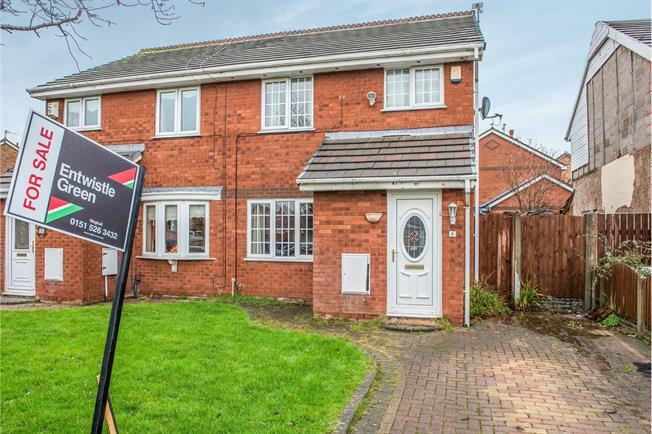 Entwistle Green are delighted to offer for sale this well-presented three bedroom home which is being sold with no-ongoing chain! The property briefly comprises of an entrance hall, lounge, dining room, kitchen, three bedrooms and a family bathroom. To the outside of the property you will find front and rear gardens as well as a driveway. This home is centrally heated and double glazed throughout and is ideal for any first time buyers wishing to get on the ladder!